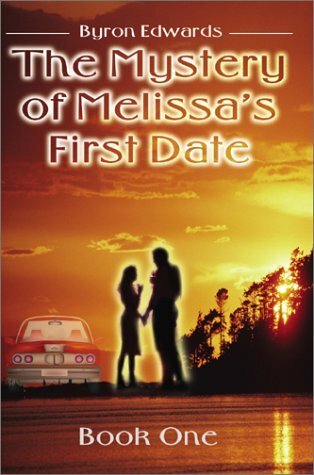 One of the things I liked about The Mystery of Melissa's First Date is that it is realistic as far as the real aspects of the story go. I am a 14 year old girl and I can relate to the things that were spoken in this book. I can see girls saying and doing the things that these characters do. The story keeps you guessing right up to the end about what is going to happen to Melissa. I read a lot and have told several of my friends about it. They are going to order it too. I think this story would make a great movie. I'd love to go see it - maybe on my first date! This is a book that all teen girls will enjoy. In a realistic setting, four girls encounter something totally unrealistic. As I read this book, I could easily visualize it as a movie. I've heard that the author is somebody famous writing under a phony name. I would like to know who it really is. Several of my friends in high school have read this book and we have enjoyed it. I truly enjoyed this book because it kept your interest. You don't know what exactly Melissa is in for until the very end of the book. That unknown is scary and exciting at the same time. At 16, I have not read a ton of books but I read regularly. I recommend this book and think that other girls will enjoy it as I did. This is Book One and I am looking forward to Book Two.